This week I sat down with attorney and business strategist, Annette Stepanian. 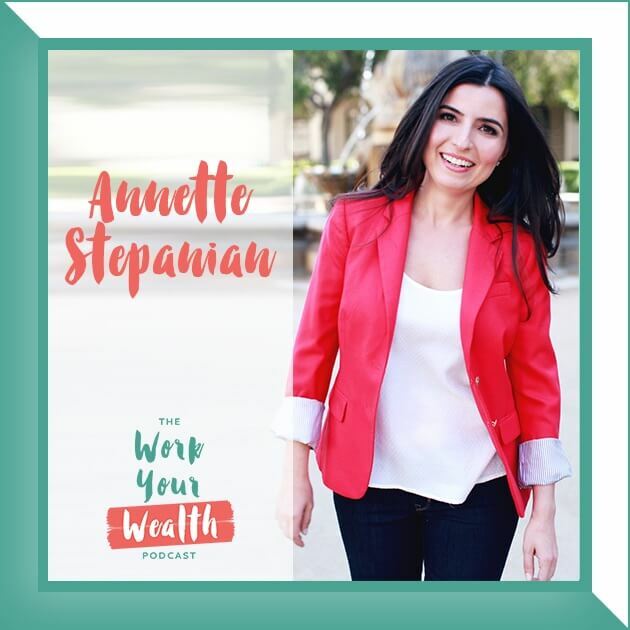 Annette Stepanian is an attorney and business strategist who equips other creative professionals and small business owners with the legal and business knowledge needed to confidently start and grow their businesses. After practicing litigation at a national law firm in San Francisco for over five years, she took a leap of faith and started her own creative business. That experience lead her to what she does today. Combining her passion for law and small business, Annette seeks to make the law practical, approachable, and dare we say it even a little fun. Learn more at www.annettestepanian.com. The biggest misconception people have about the law and lawyers, especially when it comes to running a business. Whether it’s better to work with an attorney or go the DIY online route and for what situations. The first (and most important) step when entering into a contract with another party. The role an attorney can play in contract reviews. The fine print matters. Why it’s important to read and understand what you’re asking for or committing to in any contract that you’re signing. Contracts are negotiable. Don’t commit or shy away from something without having a conversation. The importance of establishing “the trifecta” from day one for your business. How to identify times you should be reaching out to an attorney. Things to be look for when identifying a lawyer to work with. Traits and qualities to look for when identifying a lawyer to work with. Do you need to have a lawyer on retainer or are there other fee structures? Questions to ask when interviewing a lawyer to work with. How often and why you should sit down and review your contracts. GET SOCIAL WITH ANNETTE AND LET HER KNOW YOU HEARD ABOUT HER HERE!